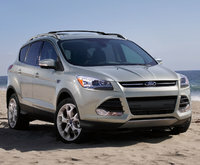 Looking for a Used Captiva Sport in your area? CarGurus has 1,069 nationwide Captiva Sport listings starting at $3,488. What looks a little like a shrunken Chevy Equinox, has its roots in a non-existent Saturn and is available only in bulk? 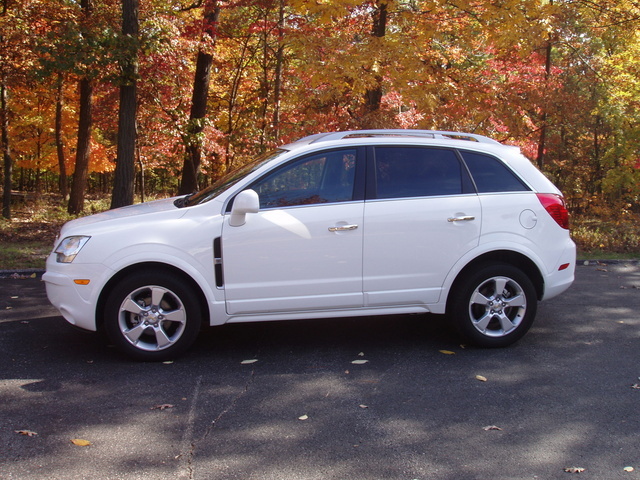 Answer: the 2014 Chevrolet Captiva Sport. This compact 5-seat crossover is strictly geared toward the working class (i.e. taxi, limo, delivery and courier services), but some non-traditional creature comforts, especially in higher trims, along with some distinctly comfort- and convenience-oriented optional equipment should engender more than the usual company loyalty from drivers. This little workhorse remains available in four trims, the base 1LS, the markedly up-ticked 2LS, the upper-midlevel LT and the flagship LTZ. All trims are delivered with standard front-wheel drive (FWD), but one of the more attractive features of this fleet-leaning mini-ute is its availability with traction-savvy full-time all-wheel drive (AWD). All trims additionally sport 56.4 cubic feet of cargo space with the rear seatbacks folded, and this space is augmented by fold-flat front passenger seatbacks lineup-wide. Again the peppy 2.4-liter variable-valve-timed (VVT) inline 4-cylinder (I4) powerplant drives the 2014 Captiva, with the standard 6-speed automatic transmission (with standard fuel-saving Eco mode) managing 182 hp and 172 lb-ft of torque. Mileage is estimated at 22 mpg city/28 highway in FWD trims and 20/28 in AWD editions, while towing is maxed out at 1,500 pounds with the optional towing package (hitch and wiring) installed. The base 1LS boasts standard 17-inch painted aluminum wheels, a roof rack and power-adjustable mirrors adorning its handsome profile, while the cabin sports cloth upholstery, full power accessories and carpeted floor mats front and rear. Cruise control and telescoping tilt-wheel steering are also standard aboard this entry-level trim, as are manual air conditioning and OnStar Directions and Connections service bolstered by Bluetooth hands-free technology. Entertainment is once more offered via a single-CD player with 6 speakers, satellite radio and a USB port. The amped-up 2LS adds heated outside power mirrors, a power-adjustable driver’s seat, auto climate control and an auto-dimming rear-view mirror, with the LT tossing in upgraded 17-inch wheels, additional cargo management tools and upgraded exterior and interior accent pieces. The top-end LTZ, as befits its princely status, offers such additional standard goodies as 18-inch chrome clad wheels, a power sunroof, leather-trimmed upholstery, heated front seats, remote engine start, rear parking sensors and a universal remote garage door opener. This high-end trim also flaunts a 10-speaker premium audio system, along with added leather-trimmed cabin accents. All but the upsized wheels are additionally available to the 2LS and LT trims as optional equipment. Depending on the trim selected, further options such as roof-rack crossbars and cargo management extras can be delivered with the 2014 Captiva Sport, with higher trims now eligible for GM’s MyLink audio and infotainment upgrade that boasts a 7-inch touchscreen display and can be enhanced with GPS-based navigation. Safety-wise, each fleet-oriented 2014 Captiva Sport trim carries standard 4-wheel antilock brakes (ABS), traction and stability control, front side-mounted airbags, front and rear head airbags, daytime running lights, OnStar emergency assistance and communications and GM’s PASS-Key III theft-deterrent system. The 2LS and higher trims additionally sport standard front fog/driving lights, while the top-shelf LTZ flaunts standard rain-sensing wipers that are also available to the midlevel LT.
What's your take on the 2014 Chevrolet Captiva Sport? _Zack63 Got Chevy Captiva as a rental car. Drove 4 hours to my destination. This vehicle is vastly underpowered. In simple start from a stoplight, the car struggles to keep up with traffic. I had to really push it, just to keep up with normal traffic flow. Highway driving is OK, but it has some trouble with drifting, takes some effort to keep correcting and stay in lane. Oddly, the radio was not good either, low quality sound and reception sketchy. This car is going to lose value fast. Only buy it dirt cheap. Driver seat OK, nothing special. Pedals are too close to the seat, steering wheel to far. I don't like having to bend a the knees and extend the arms. The only thing good about it is if you need a lot of space, and you get a dirt cheap deal. This model is going to drop big time $$ in resale. taurusrider I have seen several reviews on this little suv and most of them trash it. 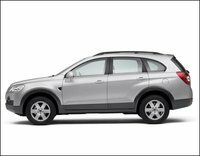 I was in the market for a small suv to replace an 07 VW Passat, (talk about a piece of VERY expensive trash) and came across the Captiva. The one thing I must agree with is the lack of power. I do not have a lead foot but this car is underpowered. Merging onto the interstate is an adventure in morning traffic. You have to really put your foot into it to get enough power. Other than that it is a pretty decent car. It is roomy, has power driver's seat, tilt and telescoping steering wheel, a single cd player with xm radio and of course On Star. Fold the rear seats (they fold flat) and you have plenty of cargo space. Gas millage is decent, I live in SC and got to Virginia without stopping for gas. Having retired and living on a fixed income, I got a deal I was able to afford ( less than 18,000) with only 27500 miles on it. I find the seats are fine, no problems on a long drive. Is it a CRV ? No. But it is something that's affordable, gets decent millage and will not kill you on maintenance you might want to take a look at one. About the same interior as the Equinox but cheaper. portia610 I own a 2014 Captiva Sport LTZ. I think it's a Great car, has plenty of pickup and go. I do travel with it and have no problems. Yes I would buy this car again. I but the seats down and this is my shopping car, hauls everything you needl. Great car! Users ranked 2014 Chevrolet Captiva Sport against other cars which they drove/owned. Each ranking was based on 9 categories. Here is the summary of top rankings. 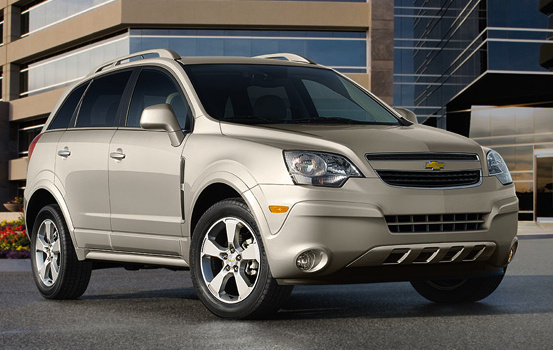 Have you driven a 2014 Chevrolet Captiva Sport?